In Nashville, this fall, I became enamored with the lives of Loralai and Rory Gilmore, the Gilmore Girls. In college, I avoided watching TV, mostly because I didn't have time. Movies did not require long-term relationships like the Office or Lost did. But I'm out of college now and I allowed myself to become friends with the Gilmore Girls, rather like I became friends with Harry Potter during senior spring semester. Neither are relationships I regret, but they both took a lot of time. I don't want you to do the math to understand how quickly I watched all of the adventures (that have yet been made) of the Girls, but, suffice it to say, I am now finished with the final season, season 7, and I miss the company already. When I started this journey I had no idea that I would get angry with the characters, laugh with them and cry with them. As a writer of fiction, I certainly believe that story can and does affect people, and this one did. Not that there was anything particularly profound or important about this show, but perhaps it was that very thing that made it what it was to me. As a girl, newly graduated from college and trying to figure out life, it stands to reason that I would like the opportunity to borrow a small town in Connecticut to live in, borrow the neighbors and friends. 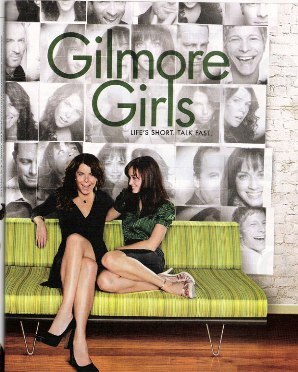 I borrowed Stars Hollow for a time, and like Hogwarts, I have to give it back. When I was little, and not so little either, I used to live a lot in story. I'm not really sure who I'm kidding, I do that now. But I remember waking up in the morning and being excited, knowing that something cool was going to happen that day, and then I would realize that the exciting thing was going to happen in the book I was reading.